In 2017, a total solar eclipse created a cosmic sensation across Central Oregon. The next total solar eclipse, laying a path of totality from Texas to Maine, will be April 8, 2024. So, what's there to do in between? The winter night sky is a celestial treat for many reasons: crystalline nights, recognizable constellations, cruising comets, meteor showers, passing planets, distant galaxies, intriguing nebula and lunar delights. From backyard viewing to an observatory excursion, an intriguing array of bright stars and planets beckons the winter sky observer. "We want to show people objects that they'll be able to see well," said Grant Tandy, Worthy Brewing Hopservatory manager and NASA ambassador. "If the moon is out, we'll look at it, but the benefit of the telescope is those fainter objects, like the Pleiades, even though people can see those stars with the naked eye." 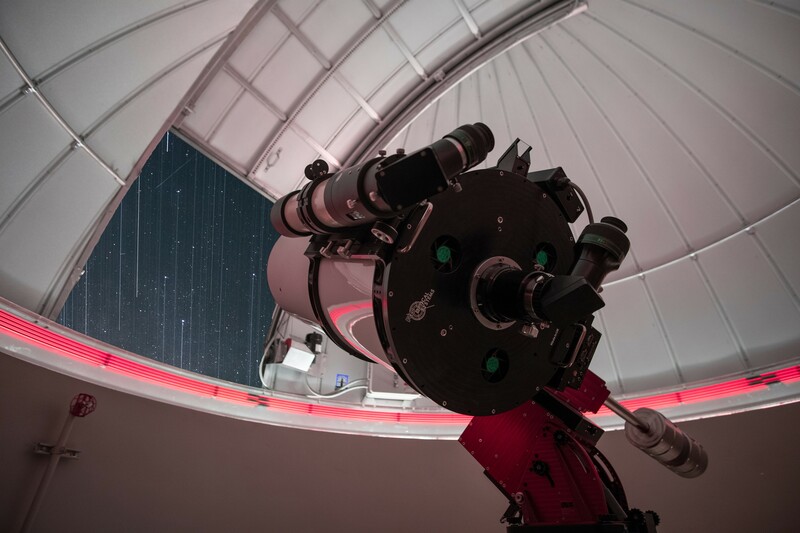 Looking through the Hopservatory's 16-inch reflecting Ritchey-Chretién telescope provides astounding peeks of planets and deep space objects. Though the observatory will view some of the constellation Orion's brightest stars—Betelgeuse and Rigel, as well as the Orion Nebula—those and other winter constellations are best viewed outside under dark skies. Orion, Taurus, Cassiopeia, Gemini, Ursa Major and Ursa Minor are some of the major constellations visible in the winter sky. Those new to stargazing can download a Sky Map app to aid in star and constellation identification. In addition to viewing planets and stars, in early January, the Quadrantids meteor shower will be visible over Central Oregon. "This one is similar to the Geminids meteor shower in that the meteorites originate from an asteroid and not a comet," said Tandy. Because it's difficult to view meteors streaking across the slot of the dome, Tandy recommends viewing the shower in an area with a wide field of view. On Jan. 20, around 6:30 p.m., selenophiles (lovers of the moon) can feast their eyes on a blood moon eclipse. "Don't forget to add the word 'total'," said Ron Thorkildson, Sisters Astronomy Club chairperson. "The total lunar eclipse will be entirely visible here in Central Oregon." 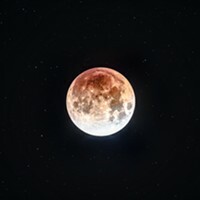 The term "blood moon" describes the eerie reddish coloration the eclipsed moon takes on as the Earth's atmosphere filters out blue light, allowing red light waves to pass through and bathe the moon. The Hopservatory and Sunriver's Oregon Observatory will both host lunar eclipse viewing events. Astrophiles (star lovers) can visit the Oregon Observatory adjacent to the Sunriver Nature Center, open Friday and Saturday nights throughout the winter, as well as Friday through Sunday for solar viewing. "At night, we'll be looking at Mars and Uranus, as well as the Orion Nebula and other galaxies," said Bob Grossfeld, observatory manager. "During the winter time we don't run our big telescope but have anywhere from eight to 12 different telescopes set up to look at various objects." During the evenings, staff use laser pointers to give constellation tours, pointing out key stars and how to navigate from one constellation to another. If the weather is uncooperative, they hold a presentation inside. Preserving dark skies is a critical aspect of stargazing, but also yields benefits to migrating birds, energy savings, neighborhood safety and human health. Properly shielded outdoor lighting and turning off unnecessary outdoor lights minimizes light pollution in metropolitan areas. 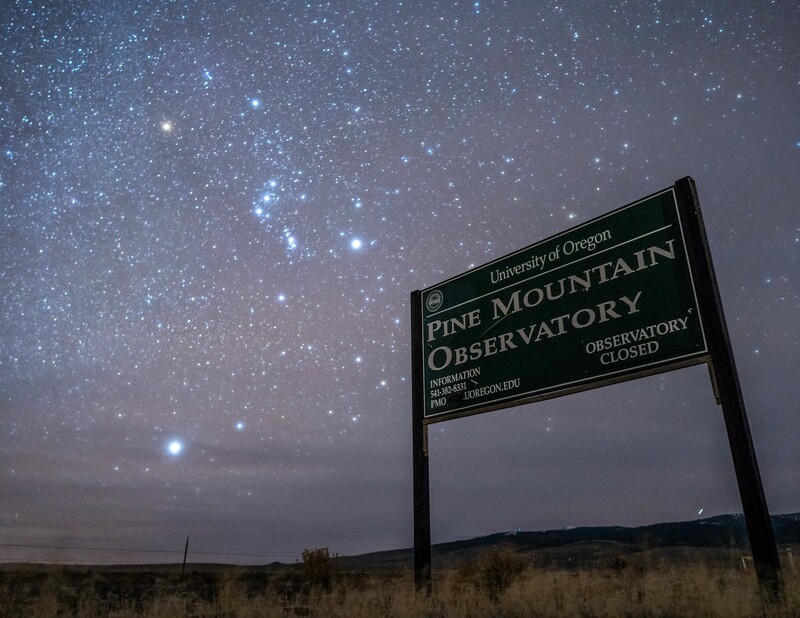 Lights Out Bend partners with observatories, municipalities and organizations to provide educational resources and advocacy for preserving the integrity of the night sky. It's amazing to think that people living in large cities rarely view the night sky because of light pollution. Seeing the spectacular winter sky may not be the primary reason visitors flock to Central Oregon, but it's certainly a secondary reason. During my last visit to the Hopservatory, there was an excited six-year-old kid from Portland telling everyone he wanted to be an astrophysicist. Not a fireman, not the President. 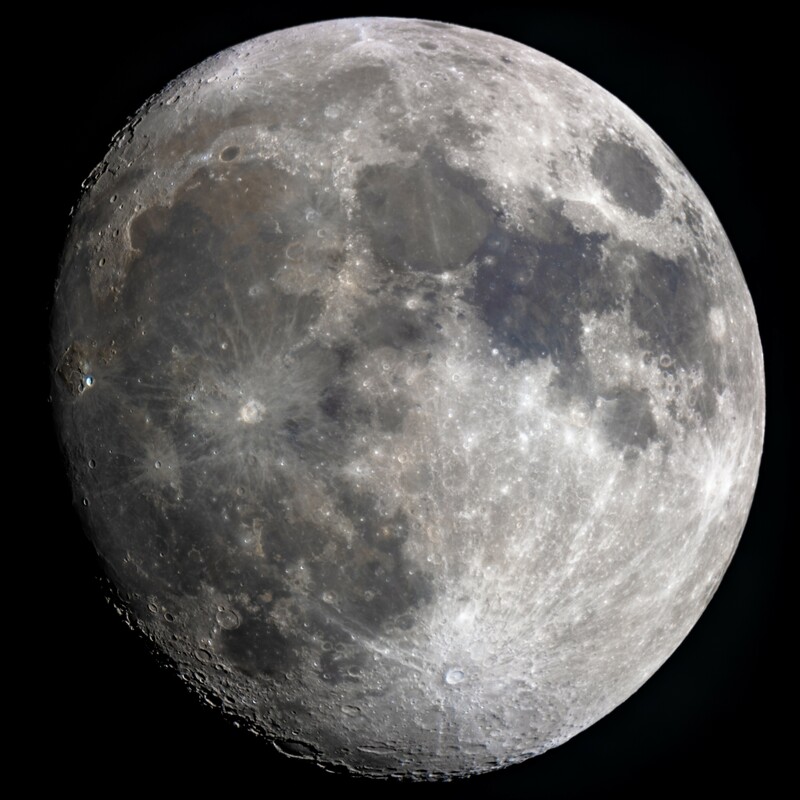 "If I can get someone interested enough in astronomy, even if it's just from some hint that I've given them, and for them to go home and start doing their own research, then I've done my job," said Tandy.